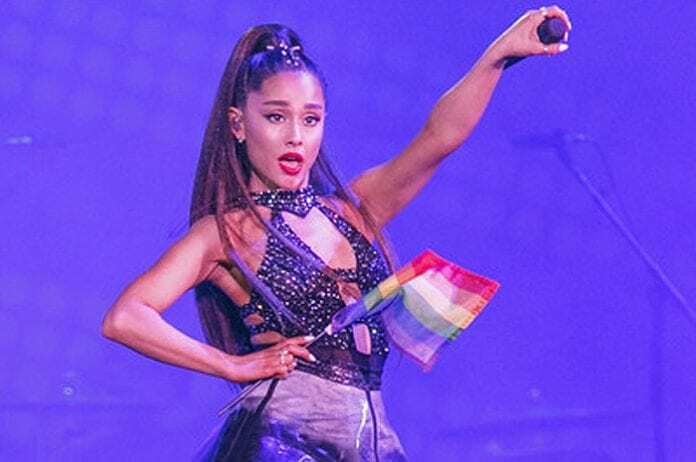 Pop superstar Ariana Grande has confirmed she is planning a second show here in Manchester – after announcing her appearance headlining the Manchester Pride Live music festival in August. 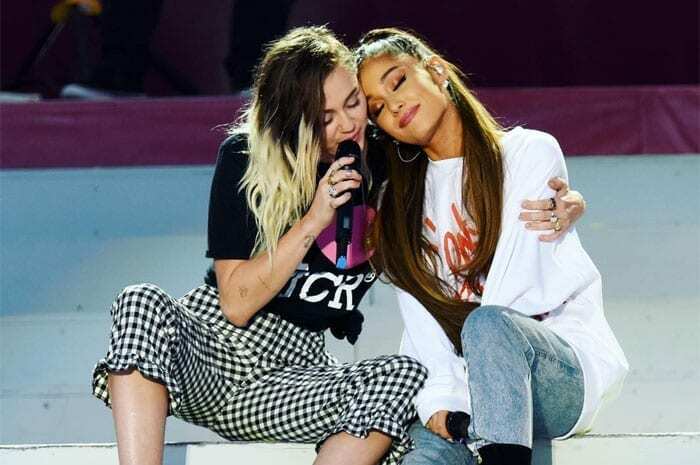 Fans of the American singer songwriter were delighted on Monday when Manchester Pride confirmed Ariana will headline the new-look event to be held at Mayfield depot on the August Bank Holiday weekend. But she has now teased a SECOND Manchester show is being planned. There are industry rumours that she is planning a charity gala in the city to end her Sweetener World Tour this year. 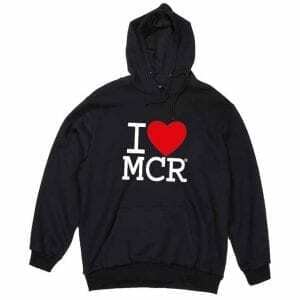 It could follow in the same vein as her last appearance in the city in June 2017 with her all-star One Love Manchester benefit concert which was organised in the wake of the Manchester Arena bombing tragedy which claimed 22 lives after her concert there on 22nd May 2017. 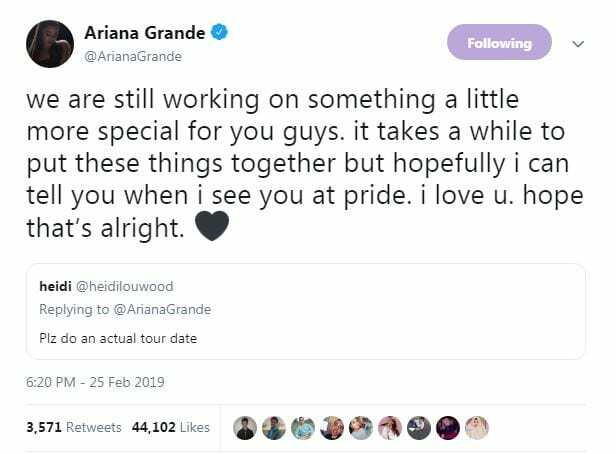 When a fan asked for Ariana to do an “actual tour date” in Manchester, she responded in a tweet with what is happening. Grammy and Brit award winning Ariana is set to embark on her Sweetener World Tour from March 2019, which will include a number of UK dates in Birmingham and London in August and September. When she announced the tour last year, she had said at the time that a “special show” was being planned for Manchester. The Manchester Pride Live announcement on Monday included the full line-up of stars for the 2019 event, which this year will take place over the Saturday and Sunday as part of a new format for the LGBT+ charity festival. 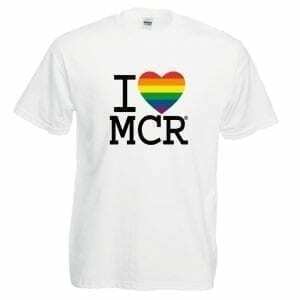 For tickets for Manchester Pride Live, see below.